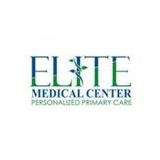 Elite Medical Center (Sunnyvale) - Book Appointment Online! PLEASE NOTE: There is a $25 fee for all no-shows and cancellations within 24 hours Our doctors are experienced in offering variety of medical services for your entire family. We are board certified in internal and geriatric medicine and specialize in diagnosing acute and chronic illnesses. We also provide diabetes teaching, management and nutrition counseling. Our staff brings to patients years of experience in preventative medicine, mental health as well as effective treatment of most common as well complicated medical problems. We serve Mountain View, Los Altos, Sunnyvale, San Jose and Palo Alto areas. We are affiliated with El Camino Hospital. Our Mountain View doctors currently accept new patients with most major insurance plans including Medicare.